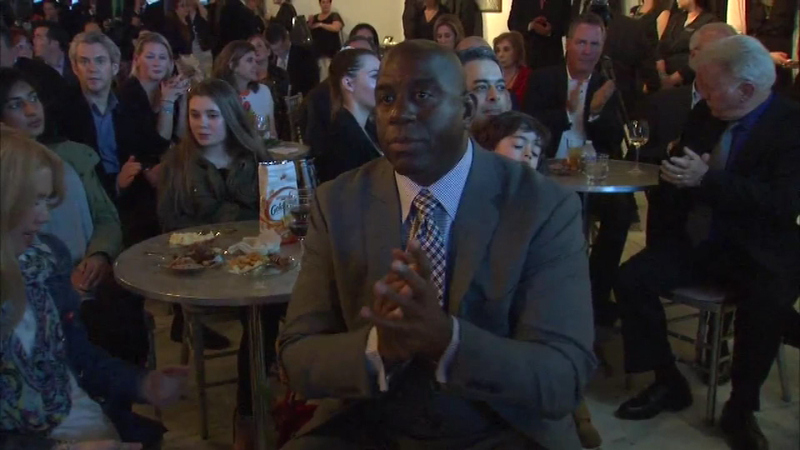 CHICAGO (WLS) -- Magic Johnson took part tonight in kick-off dinner for a big event tomorrow called We Day Illinois that's all about youth empowerment. We Day is connected to the year-long We Act program, which turns the kids' inspiration into action. Johnson says the goal is to bring together young people to make the world a better place. Thousands of young people from around the state will gather tomorrow at AllState Arena for the We Day Illinois event and ABC 7 will have live coverage beginning on our morning news.